Energy Discovery Centre is thrilled to host the NSCF Annual Conference on 9th till 11th October 2018 in Tallinn, Estonia. 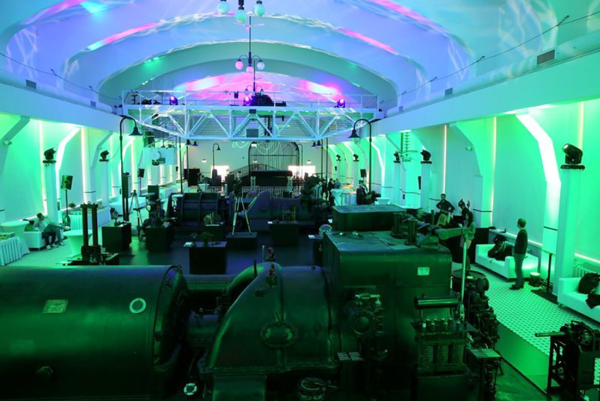 Energy Discovery Centre is a science centre housed in a 100-year-old power plant in the heart of Tallinn. There’s a definite sense of lightning in the air as the Centre features daily lightning shows and static electricity demonstrations, but also over 100 hands-on exhibits, Planetarium screenings and shows. The Centre invites its visitors to learn about electricity, energy production, and have fun with different natural phenomena. Energy Discovery Centre’s mission as a non-formal learning environment is to motivate and advance the teaching and learning of STEM subjects. In order to achieve this, the Centre offers a number of workshops and science shows for children starting from kindergarten up to middle and high school. The topics covered at the conference will include the development and funding of and cooperation between Nordic science centres. The full programme will be made available as the year progresses. We’re especially excited to welcome all of our NSCF colleagues in Tallinn on Estonia’s centennial celebrations. This year Tallinn really is more festive than ever before, and Energy Discovery Centre is situated right in the heart of it, just between the magnificent medieval old town and the trendy Kalamaja (‘Fish House’) district. And as for the icing on the cake – Lonely Planet has chosen Tallinn as the best value destination of 2018. We’re looking forward to seeing you in Tallinn!